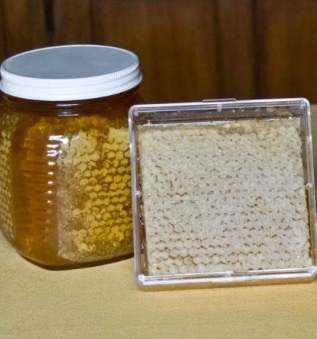 Ed Buchanan has been raising bees a long time and producing comb honey just as long. Enjoy the conversation between Ed and Shane Gebauer as they explore the topic of producing and packaging comb honey. They cover numerous tips and tricks to get your hive to create beautiful comb honey and then the best method of packaging it for sale or gifts. 1 hour duration. As one of the most ancient of human beverages, mead arose in part because it was easy to make. Today’s hobbyists rediscover the simplicity of making mead while reveling in the range of flavors that can result. In The Compleat Meadmaker, veteran beverage hobbyist and meadmaker, Ken Schramm, introduces the novice to the wonders of mead. With easy-to-follow procedures and simple recipes, he shows how you can quickly and painlessly make your own mead at home. In later chapters he introduces flavorful variations on the basic theme that lead to meads flavored with spice, fruits, grapes and even malt. The Complete Idiot's Guide® to Beekeeping has all the information a beginning beekeeper needs to know to start a hive and keep it buzzing. Expert beekeepers Dean Stiglitz and Laurie Herboldsheimer, owners of Golden Rule Honey, take readers step by step through the entire process-from information on the inhabitants of a hive and how it works to collecting bees, keeping them healthy, raising a queen, harvesting honey and wax, and storing hives for the off- season. For honey lovers, there are lots of stories in this book about the health benefits of honey, as well as numerous recipes for a variety of things - including dressings, baked things, etc. An inspiring book for those looking to use less sugar. Honey is healthful, and this is a great reference book describing it. An odd collection of interesting facts about bees, including religious beliefs, myths, history, biology, sayings, health, and beekeeping. We extract a Spring honey crop with our Compact Deluxe (basket style), 9 Frame Hand Radial, and our 20 Frame Deluxe extractor. Uncapping is done with a cold knife, hot electric knife, uncapping plane, and our sideline uncapper. We even explain and use a capping scratcher. Don't understand extracting? You will! You will learn about normal honey bee development; honey bee parasites; honey bee diseases (brood diseases, adult diseases, disease-like conditions, and Colony Collapse Disorder); predators of honey bees; pests of honey bees (African/Africanized honey bees); pests currently not found in North America. This 1947 revised edition of First Lessons in Beekeeping (originally published in 1917) contains a comprehensive guide to beekeeping, with information on starting a hive, hive management, swarming, harvesting honey, seasonal preparations, and much more. Illustrated and full of valuable information, this timeless volume is recommended for the modern beekeeper. Contents include: “Beekeeping As An Occupation”, “How The Colony Is Organized”, “The Complete Hive”, “Accessory Equipment”, “Establishing The Colony”, “Spring In the Apiary”, “Summer In The Apiary”, “Fall And Winter Preparation”, “Queen Management”, “Diseases And Enemies”, “Honey Plants”, “Packaging Honey For Market”. This version shows a reorganization and new titles for some chapters with the addition of two more. Contains black and white photography. Twelve months on the road with America's last cowboys: the migratory beekeepers. In this absorbing work of literary journalism, Douglas Whynott introduces us to the world of migratory beekeeping, a world composed of clandestine state-border crossings, dodgy rigs, and unforgettable characters. An updated edition of Whynott's classic account of his twelve months spent chasing the nectar flow with a few good men and women-and millions of honeybees; Following the Bloom tells the story of America's "last real cowboys." Overcoming catastrophic mechanical breakdowns, escaped bees that wreak havoc in suburban neighborhoods, and unfriendly state bee inspectors who threaten to burn entire bee colonies, these beekeepers truck hundreds of thousands of hives from state to state. From the cranberry bogs of Cape Cod and the blueberry fields of Maine to the clover fields of North Dakota and the orange groves of Florida, beekeeper and bee alike pursue the bloom. Seamlessly combining the remarkable physics of the beehive, the political realities of commercial beekeeping, and the compelling adventures of America's migratory beekeepers, Following the Bloom pays homage to the hive, the honey, and the beekeeping cowboy. Following the Wild Bees is a delightful foray into the pastime of bee hunting, an exhilarating outdoor activity that used to be practiced widely but which few people know about today. Thomas Seeley, a world authority on honey bees, vividly describes the history and science behind this lost pastime and how anyone can do it. Following the Wild Bees is both a unique meditation on the pleasures of the natural world and a guide to the ingenious methods that compose the craft of the bee hunter. Seeley explains how one finds a patch of flowers humming with honey bees, captures and sumptuously feeds the bees, and then releases and follows them, step-by-step in whatever direction they fly, back to their secret residence in a hollow tree, old building, or abandoned hive. The bee hunter's reward is a thrilling encounter with nature that challenges mind and body while also giving new insights into the remarkable behavior of honey bees living in the wild. Bee-lining, harvesting a bee tree, and trapping bees out of houses are covered in this 77 minute DVD. Learn how to get bees for free!